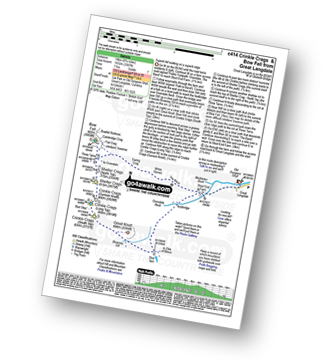 - Great Langdale - The Old Dungeon Ghyll - Oxendale - Oxendale Beck - Red Tarn (Langdale) - Great Knott - Crinkle - Crags (South Top) - Bad Step - Crinkle Crags (Long Top) - Crinkle Crags (Gunson Knott) - Shelter Crags - Shelter Crags (North Top) - Three Tarns - Climbers' Traverse (optional) - Flat Crag - Cambridge Crag - Bowfell Buttress - Bow Fell (Bowfell) - Three Tarns - Earing Crag - White Stones - The Band - Stool End Farm - Mickleden Beck - Mickleden - The Old Dungeon Ghyll - Great Langdale. 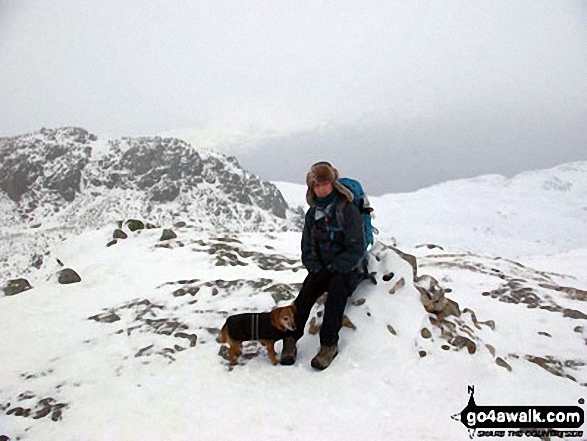 The highest point of this walk is Bow Fell (Bowfell) at 902m (2960ft). 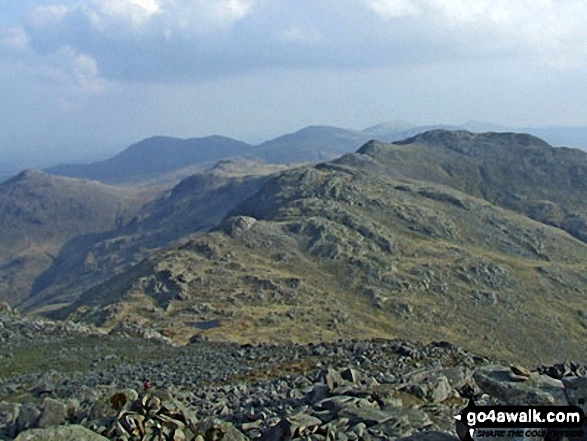 Bow Fell (Bowfell) is classified as an English Mountain (Hewitt) (8th highest in England, 24th highest in England & Wales) and a Wainwright (No. 6). 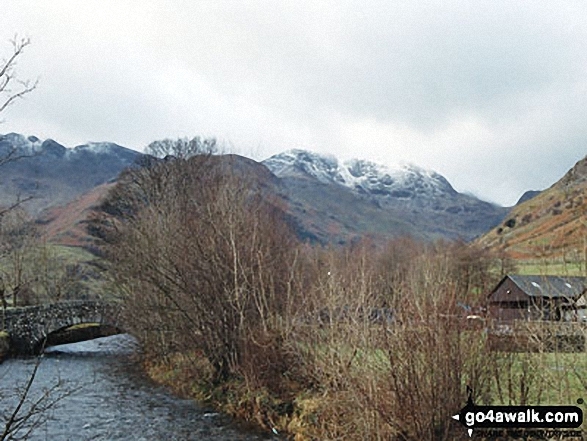 Bow Fell (Bowfell) is also known as an English Nuttall (10th in England, 27th in England & Wales). 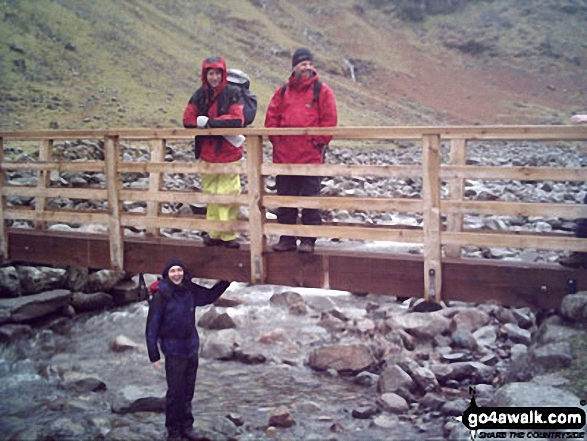 Completing this walk also take you to the top of Crinkle Crags (Long Top), 859m (2819ft). 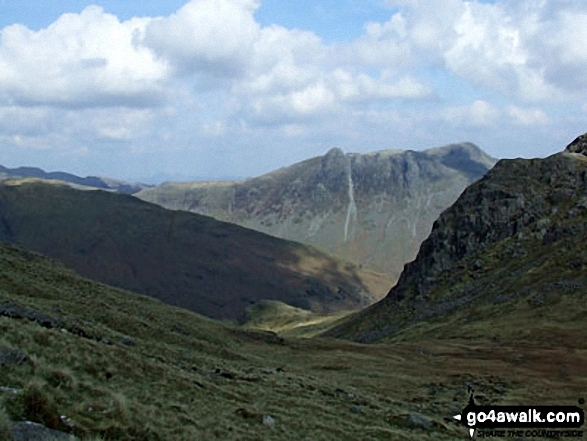 Crinkle Crags (Long Top) is classified as an English Mountain (Hewitt) (19th highest in England, 42nd highest in England & Wales) and a Wainwright (No. 17). 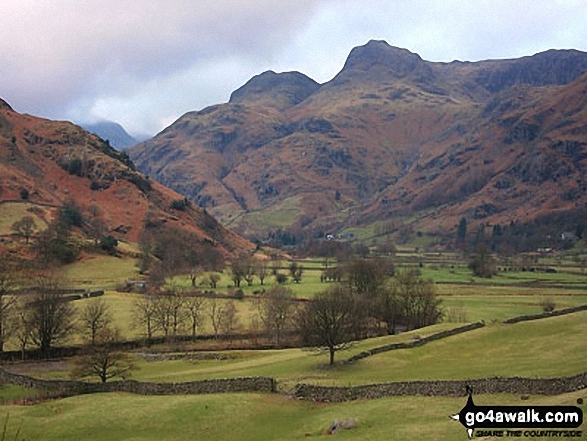 Crinkle Crags (Long Top) is also known as an English Nuttall (24th in England, 50th in England & Wales). 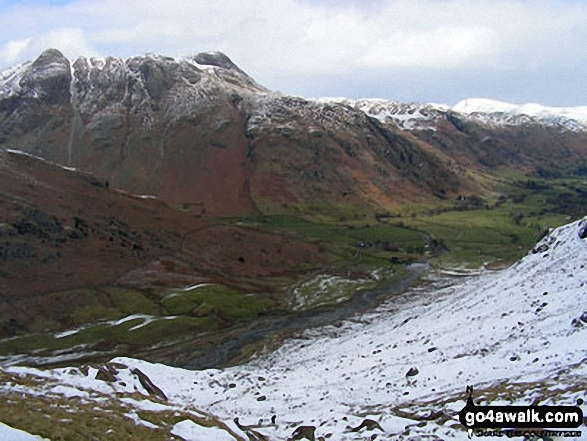 You will also reach the summit of Shelter Crags, 815m (2675ft). 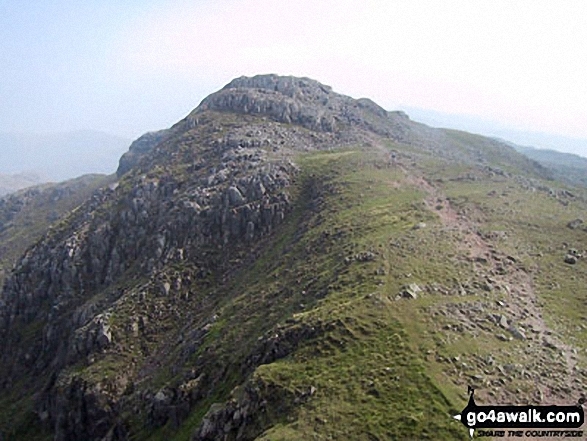 Shelter Crags is classified as an English Mountain (Hewitt) (34th highest in England, 65th highest in England & Wales) and a Wainwright (No. ). 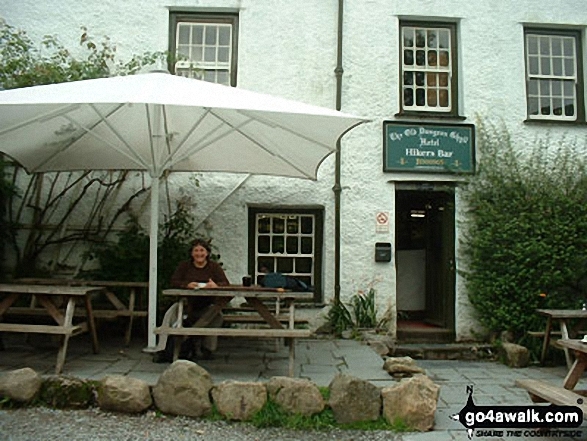 Shelter Crags is also known as an English Nuttall (42nd in England, 79th in England & Wales). 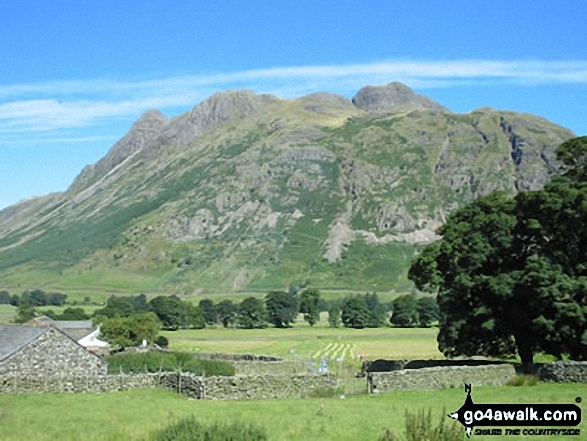 Along the way you will also bag Shelter Crags (North Top), 775m (2543ft) - an English Nuttall (70th Eng, 122nd Eng & Wal) and Great Knott 696m (2284ft) - an English Nuttall (141st Eng, 230th Eng & Wal).